Belfast band who released a decent country rock track on their debut single. The other recordings I've heard vary in style (classicl rock, Dire Straits, Afghan Whigs). Nigel Craig was also lead guitarist with the band at some point. 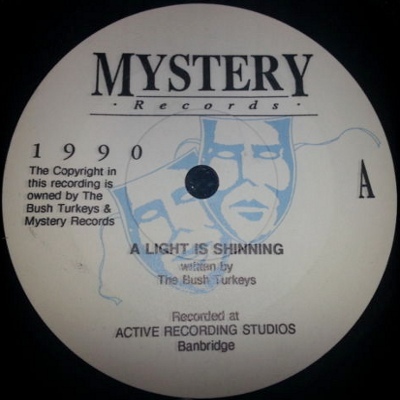 7" - Mystery Records - SRT 9052564 - UK - 1990 - PS? Notes: Recorded at Active Recording Studios, Banbridge. This Mystery Records is probably the band's own label - it's certainly not the WEA Ireland subsiduary. Stocked by Good Vibrations, though I am not sure if Hooley made it an official Good Vibes release. Last update: 9 January 2009.